Dog lovers unite! Chewy has everything you need for your lovable pup all available at the click of a mouse. Spoil your best friend with only the best in dog supplies for dog food, dog treats and dog toys. 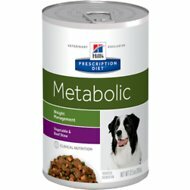 If you've been searching for beef flavor dog prescription food, look no further. 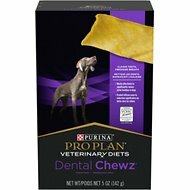 Among the wide selection we carry, one option to try is Purina Pro Plan Veterinary Diets Dental Chewz Dog Treats. Key benefit: also helps freshen breath and maintain good oral hygiene between regular brushings. 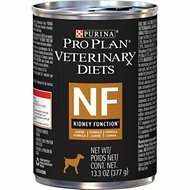 Another product is Purina Pro Plan Veterinary Diets CN Critical Nutrition Formula Canned Dog and Cat Food. Key benefit: this energy dense formula provides concentrated nutrition to your dog or cat that is critically ill, anorectic, or recovering from surgery. Chewy carries a wide selection of dog supplies to cater to your dog's wants and needs. You'll only find top brands for dog food, dog treats, and other dog supplies! For all your pet needs including beef flavor dog prescription food, Chewy has you covered! We're here for you.